Trainer Mike Moroney is lookng to Radipole to defy his long odds in the Toorak Handicap. Radipole is one of the outsiders in the Group One Toorak Handicap but trainer Mike Moroney is pleased the import has finally drawn a good barrier to hopefully show his best. Moroney had Radipole in the Group One Epsom Handicap in Sydney two weeks ago but scratched the gelding after he drew the widest gate in the capacity field. Radipole instead raced at Caulfield a day later in a 1700m-handicap and was beaten seven lengths after settling near-last from barrier 14. 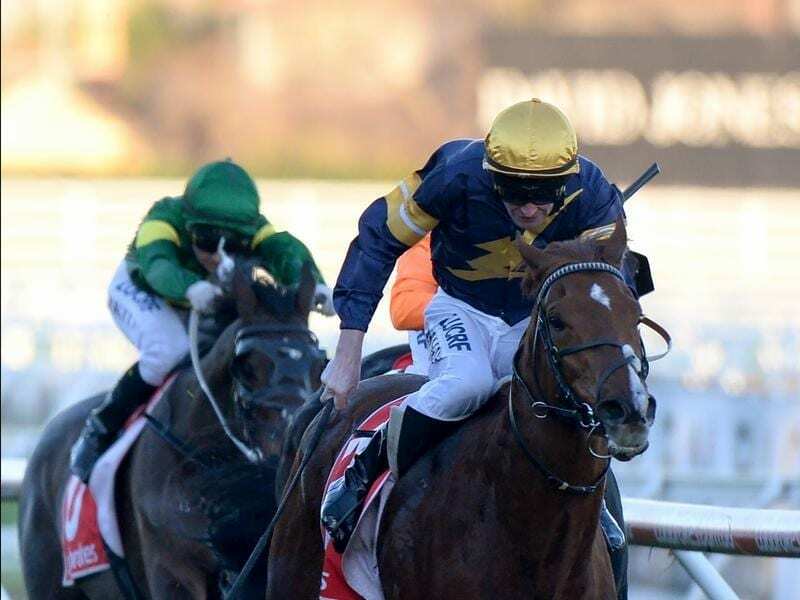 The six-year-old has drawn wide in his past four starts stretching back to the Sydney autumn but has barrier five in the capacity field for Saturday’s Toorak (1600m) at Caulfield and has the limit weight of 52kg. “He’s just drawn off the track in most of his races, even in Sydney and we had been forced to go forward,” Moroney said. “Then we’ve tried riding him back and we just haven’t been able to get much of a line on him this time around because we’ve had to ride him back both times. A Listed winner in France, Radipole has won one of his 12 Australian starts while some of his best performances at stakes level have been a close third in this year’s Ajax Stakes and a fifth in last year’s Group One Cantala Stakes (1600m). In a capacity field which includes last-start Epsom winner Hartnell, last year’s Cantala winner Shillelagh was favourite at $5.50 on Friday ahead of Land Of Plenty ($6.50) who has the outside barrier. “He’s a lightweight chance. That draw is a going to be big help,” Moroney said. “There looks like there will be good speed on and he should just camp behind them and then hopefully he just gets a bit of luck. “He wasn’t too far away in the Cantala last year and if he’s in similar sort of form you would think he could run a nice race.